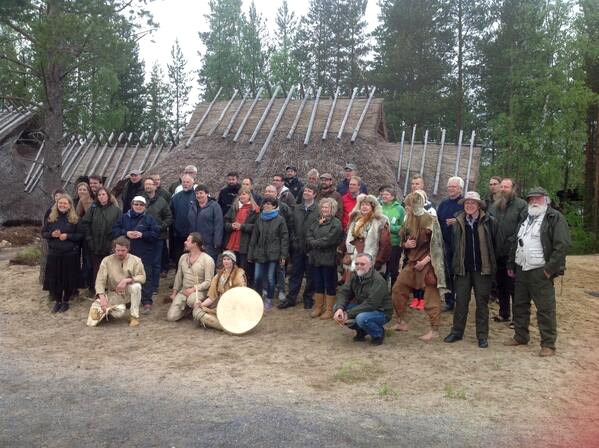 The OpenArch Project met in June 2014 in Finland. Over 50 participants discussed the value and scale of the experimental archaeology approach to studying and presenting the past. The dialogue with science is vital for archarchaeological open-air museums, both as regards to research and for presenting how we know what we know. The international group also discussed new methods for enhancing the visitor experience, like 3D printing. Almost all OpenArch partners reported, like Dr Burrow from St Fagans on their new reconstructed buildings, Dr Hurcombe from Exeter on their approach to experimental archaeology and Mr Gómez on iron smelting in Calafell. As experimental archaeology is such a vital component of OpenArch, it was good and important to see how all partners used this method.